One of India’s fastest growing co-working space providers, SmartWorks is spread across numerous Indian cities offering fully serviced modern workplaces for private offices. Increase engagement rate for Smartworks by increasing the number of ‘People talking about it’. Create reliability to the problems and make Smartworks as a unique problem solver for it’s TG, who’ll be compelled to take notes. Generate buzz on social media. To increase the leads for Smartworks and make the existing TG as loyalist and increase brand WOM. The challenge was to create a unique voice for the brand – Smartworks, that its not only its fans but also the mass audience who have do experience the same problem, however are reluctant to accept it. Also, to create an impact that Smartworks comes synonymous to Hassle Free Offices. The brand had over 64k fans; but people talking about this was just at 179, which is 0.279%, therefore one of the challenges faced by the agency was to engage the brand’s social audience. 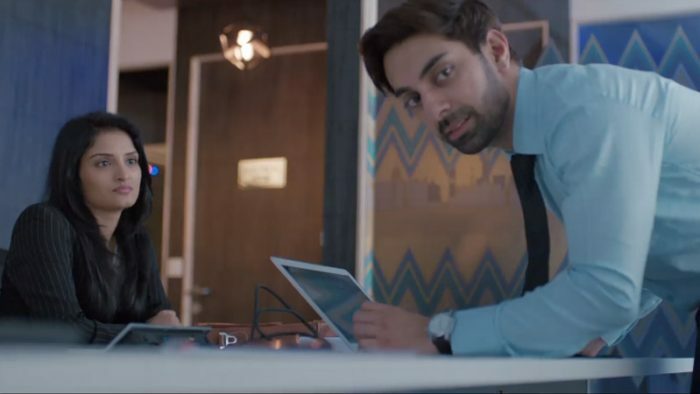 The brand created a series of three videos, titled ATM Boss, Halt The Hassles and Stick No Bills, born out of the insight towards addressing three objectives – Personalization, Technical issues, Office hassles. The agency employed a two pronged social strategy mix involving Participatory Social Media, and Top Down Social Media. Participatory social media strategy involved enticing fans to comment or react to a particular action. This involved driving contests, opinionating customers to make choices in the form of likes, comments on posts. Whereas Top-down social media involves crafting a unique singular message, which generates buzz and reactions. This was done using memes from the video to be launched to create optimum pre-buzz. Supporting the brand films, SmartWorks posted images and other posts, using memes for audience engagement and adhering to the optimal post length for brands when it comes to text posts, which is 281-560. Gratification was carried out through a social media contest offering BookMyShow vouchers to the winner upon correctly answering a question based on the brand film. Additionally, polls were posted in order to secure audience engagement, along with some relatable memes urging the viewers to tag their colleagues. Over 9.7Million Impressions were garnered through the campaign, along with 3.3Million Views during the campaign duration of 21 Days. A 300% increase in the number of subscribers for SmartWorks was observed, with a 2X increase in the number of Likes on the brand’s Facebook Page. An overall 3.5X increase in the number of organic Reach of posts was observed, along with a 3X jump in the number of Reactions, 4X jump in the number of comments on the Page and 4X jump in the number of shares. A total of 4338 Reactions, 104 Comments and 436 Shares were received on all the posts.